His Country ... Or His Daughter? When the new, power-hungry Chinese president, Tang Qhichen, orders Chinese naval forces to attack Taiwanese forces on Itu Aba Island in the South China Sea, U.S. President Douglas Surber responds, sending the U.S. Seventh Fleet into the area to try to quell a dangerous naval showdown between the two Chinas. Not an easy decision under most circumstances, but for President Surber, it is even more difficult. Aboard the submarine tender U.S.S. Emory S. Land, one of the first ships entering the naval war zone, is Ensign Stephanie Surber, a recent Naval Academy graduate who is also the First Daughter of the United States. As the Emory S. Land steams into harm's way, Ensign Surber's life is gravely threatened. 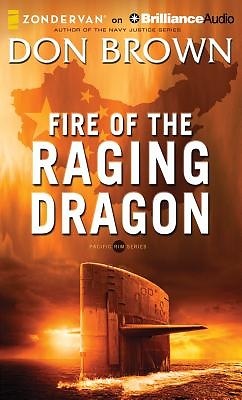 When a gruesome discovery on board a Chinese freighter brings the US and China to the brink of war, the president must make a decision. Will he take a stand against evil? Or will he call off the mission to save the life of his daughter?